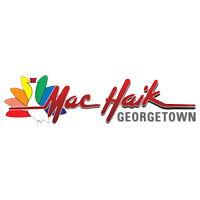 Welcome to Mac Haik Chrysler, Dodge, Jeep, and RAM of Georgetown, TX. Here, you will find a large inventory of high-quality vehicles, and one of them with your name on it. In order to streamline the sales process, we have posted up model reviews of our popular sellers to help prospective buyers make an informed decision. Nowadays, most of the car buying process is occurring online before a shopper even steps into the showroom. We make this easy and convenient by allowing you to compare the features of vehicles up front. Please read our general feature reviews, below, before moving on to the more specific reviews. When you purchase anything from our lots, you are buying a car with the deep American heritage of Detroit styling. Some might say that the styling has traces of Native American Indian tribal independence or cubism as the various components are modeled and altered ever so slightly. Whatever nuances of styling you may see, you will always find the rugged features of a Jeep or RAM truck aggressive and iconic. Dodge, likewise, is known for its sporty bad boy image carried over from its muscle car years. And Chrysler is still making sophisticated vehicles that ooze with class. These domestic vehicles are known for the heavy-duty parts and simplicity of engineering. In this regard, they are known for maintaining their reliability longer than imports when the warranty is over. This is why many Chrysler, Jeep, Dodge, and RAM drivers hold onto their vehicles for decades. They are not over-engineered like German vehicles and made of a million parts that can disable your vehicle when one piece of the puzzle goes bad. Instead of messing around with a jigsaw puzzle, you fix some mechanical items when they get worn and get back on the road again in no time. Many people would agree that the United States has higher quality standards and, therefore, are able to produce parts that don’t break very easily. When you compare the best American innovations with their import competitors, it is easy to see that you get more value for your money when you buy Jeep, Dodge, RAM, or Chrysler. RAM trucks are known to hold up decades after the factory warranty expires and become like one of the family. Jeep vehicles are based on the famous WWII military vehicles and famously built to nearly indestructible standards to handle the off-road capabilities that come standard. Additional, the Chrysler Dodge Jeep RAM lineup is affordable to service and maintain. Now is the time to buy a vehicle that gives you more car for your money. Don’t get suckered into paying for more import taxes and shipping than vehicle. You buy fresh foods from American farmlands and should enjoy the same quality in your automobiles. Call or stop by the Mac Haik Chrysler, Jeep, Dodge, and RAM dealership in Georgetown, TX, to start experiencing the difference. Mac Haik Dodge Chrysler Jeep Ram Georgetown	30.593055, -97.6904882.